Dual White L.E.D. configuration is designed for normal reading, writing and maneuvering in the dark without having to hold a flashlight in your hands. 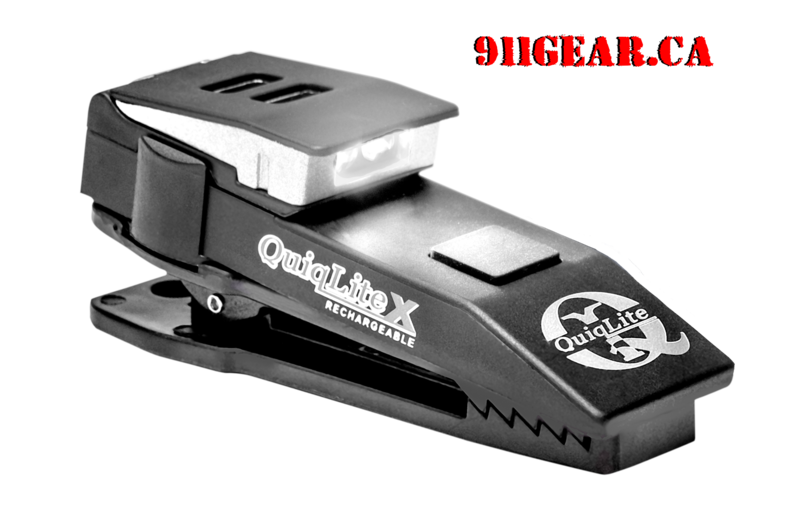 QuiqLiteX Dual White allows for single or dual L.E.D. activation for situations when extra light is required. The first push of the On/Off button will activate a single white LED at 20 lumens to help preserve your night vision. If more light is required, simply push the X boost button to increase up to 75 lumens per L.E.D. QuiqLiteX is equipped with a 10-minute auto-off battery saving timer and continuous Safety Strobe making you visible from over 1 mile away. Now includes a new Pupil Gauge located on the back of all QuiqLite products! Press & hold the main power button down for 2 seconds to activate Safety Strobe(no auto-off timer).